Through unprecedented access to the family archives, extensive interviews, and thorough historical research, Niven has created a riveting portrait of Edward Steichen, the curator of the landmark Family of Man exhibition and a brilliant photographer in his own right. This fine biography combines scholarly precision with narrative quality, creating a window right into the heart of Twentieth century photography. 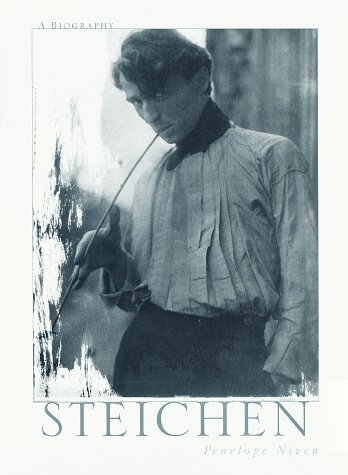 From his legendary association with Alfred Stieglitz in the groundbreaking 291 Gallery to his selection of photographs for The Family of Man exhibit at the Museum of Modern Art, Edward Steichen (1879-1973) stood at the forefront of artistic innovation in America and Europe. Penelope Niven, biographer of Carl Sandburg (Steichen's brother-in-law), affectionately depicts her subject. She carefully assesses Steichen's three marriages, his supportive relationships with other artists, and the humanistic vision that informed his photography. Her comprehensive study reminds us of Steichen's central role in elevating photography to a crucial 20th-century art form.